RGV FC defender Kai Greene has been mentoring one of the youth at the Evins Regional Juvenile Center in Edinburg since February, but he wanted a way to do something more. Going back to his time as a social and behavioral sciences major at Seton Hall University, where he graduated after the 2014 season, Greene has always had an interest in helping troubled kids. So after starting as a volunteer at Evins, he began thinking of a way to expose the youth to something other than their cells and the cafeteria, he said. His initial idea — to get them out to a Toros game — was quickly shot down. On May 3, Greene and his coaches and teammates traveled to Evins to put on an instructional clinic. Greene said the event was a huge success, sparking talks about continued soccer activity and the possibility of Evins starting a team. On the field, Greene has been one of RGV FC’s strongest players as the team prepares for a matchup with LA Galaxy II at 7:30 tonight at H-E-B Park in Edinburg. RGV FC (4-3-0) has allowed just four goals this season, tied with San Antonio for the best mark in the USL, and Greene leads the Toros with 21 tackles, 17 interceptions and 44 duels won in 75 chances. Greene said he has the speed to match any wing attacker, and coach Junior Gonzalez said Greene’s athleticism allows him to recover in the rare case he gets beat. Gonzalez also pointed to Greene’s engine and stamina, as well as his ability to win battles for the ball in the air. Gonzalez said Greene’s confidence was evident from their first phone conversation after Gonzalez took the job in December. “Not only does he believe he’s one of the best one-on-one defenders, he backs it up with his actions,” Gonzalez said. Green’s success comes despite his relative newness to the right back position. As a freshman at Seton Hall, he started at center back and moved to midfield. During his sophomore and junior years, he split time between wing and defense. And as a senior, he opened the year at forward before again sliding back to midfield. 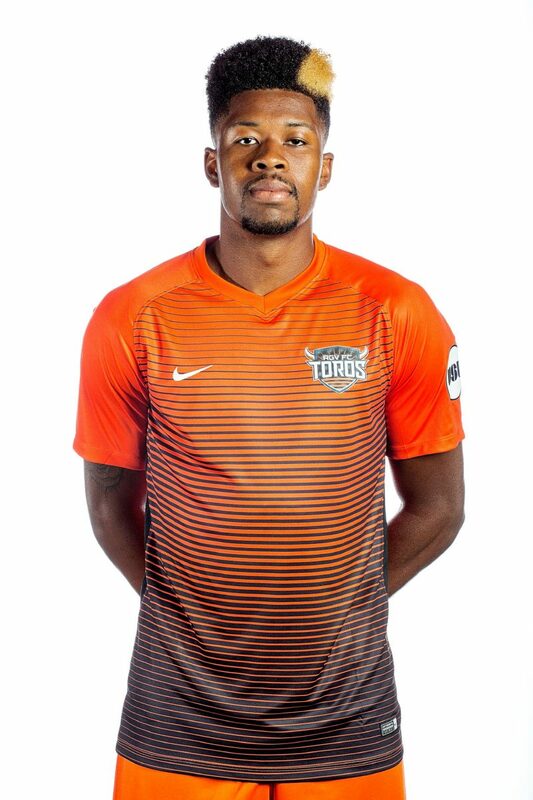 He started his tenure with the Toros last year as a center back, but then-coach Wilmer Cabrera moved him to the right side, where Greene could better leverage his speed. Greene sees himself as a more refined player in his second year, especially when it comes to positioning and crossing passes. Greene said he hopes to reach the MLS by the end of the year, with the goal of someday playing for the national team. Greene said his family always wanted to see him succeed in basketball, and Greene choosing to take a different path was a tough pill to swallow. But as he continued to succeed, he found his family supporting him each step of the way. Gonzalez thinks Greene can rise to the MLS ranks, standing out at a position where young talent is at a premium. And once Greene’s time with soccer is over, Gonzalez has little doubt Greene can thrive in his other passion. He’s already shown glimpses of that with his work at Evins.